RAPP Australia Pty Ltd is one of leading fire, medical and emergency equipment suppliers globally through its provision of equipment that is effective, reliable and safe to use. Based in Lara, just outside of Melbourne, Victoria, RAPP Australia Pty Ltd keeps in close contact with local community emergency services as much as it does with product manufacturers and designers from around the world. It is important that the NEANN brand be seen as both a reliable designer, manufacturer and distributor of products as well as being aware of the true nature of emergency services work. NEANN has developed leading equipment bags, spine boards, first aid kits, oxygen regulators and resuscitation equipment products and also holds exclusive distribution rights on some medical equipment suppliers. As a brand, NEANN endeavours to work with its clients to develop world-class products for medical and emergency services workers. The brand routinely works with existing and new clients to properly develop products that will effectively serve a required purpose. NEANN representatives travel the world to source the best materials and techniques so that when a client approaches the company for assistance, their staff is able to provide current and world-class advice on best practice and application. Together with its clients, NEANN has improved and evolved many products that are in current use in the field around Australia and across the world today. With knowledgeable Sales Representatives with wide-ranging expertise from states all over Australia, NEANN can assist your organisation with its every individual need. NEANN’s commitment to its clients is inspired by the hard work of Australia’s first response and emergency services workers. NEANN holds many current and ongoing contracts with emergency services agencies and hospitals, as well as with State based Governments in Australia, for the provision of medical equipment, supplies and accessories whenever it is needed. Recurring business through collaboration with its clients is how NEANN keeps to its vision of its services – to provide equipment that is effective, reliable and safe to use. Based in rural Victoria, RAPP Australia Pty Ltd, and its NEANN division, supports staff who are volunteers in the emergency services, particularly the Country Fire Authority. Volunteers from the company range from production staff, sales team members and even the Managing Director. 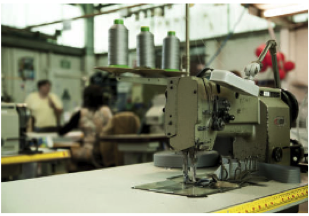 Ensuring their safety is a key motivation in making and supplying great products. In 2001, a director of RAPP Australia Pty Ltd passed away from Leukaemia, aged 39, leaving two little girls aged three and six without a mother. In memory of her, it is the company’s policy to sponsor any staff and fire and emergency service friends in the annual World’s Greatest Shave, a fundraiser for research into this devastating disease. For more information about how you can help, please visit the Leukaemia Foundation’s web site. RAPP Australia Pty Ltd, and its medical equipment division NEANN, is committed to the ongoing improvement of sustainability at all levels of its business. This has been a commitment since well before corporate responsibility of this kind was in the public conscious, and as such it was awarded a Sustainability Certification in 2008. For any further information on the NEANN brand, or RAPP Australia Pty Ltd, please get in touch online or call the head office on 03 5284 0222.